These days, most video games get a regular stream of updates full of bug fixes, balance tweaks, and new content. Even Nintendo has made a habit of patching all of the games it publishes. There’s just one glaring exception: Super Mario Party, which is still on version 1.0. Few major first-party Nintendo games have felt like they’ve needed downloadable content as badly as Super Mario Party. The game only has four boards, a weak showing even by the standards of the series. It would also benefit from new characters and mini-games, as well as some sort of additional online mode. Currently, you can only play standard matches offline. In its recent earnings report, Nintendo announced that Super Mario Party for the Switch has sold 5.3 million copies since it was released on October 5, 2018. That puts it at number seven on the current list of the console’s top 10 best-selling games, well ahead of 1-2-Switch (2.86 million), Mario Tennis Aces (2.53 million), and Kirby Star Allies (2.42 million). Unlike those games, however, Super Mario Party has never received any updates and Nintendo hasn’t announced any downloadable content. Part of the reason this seems so strange is that Nintendo has put a much greater emphasis on the life of its games after release in the Switch era. Nintendo added motorcycles to The Legend of Zelda: Breath of the Wild and balloon races to Super Mario Odyssey. Even Snipperclippers, one of the Switch’s smaller launch titles, received new worlds and puzzles several months after release. 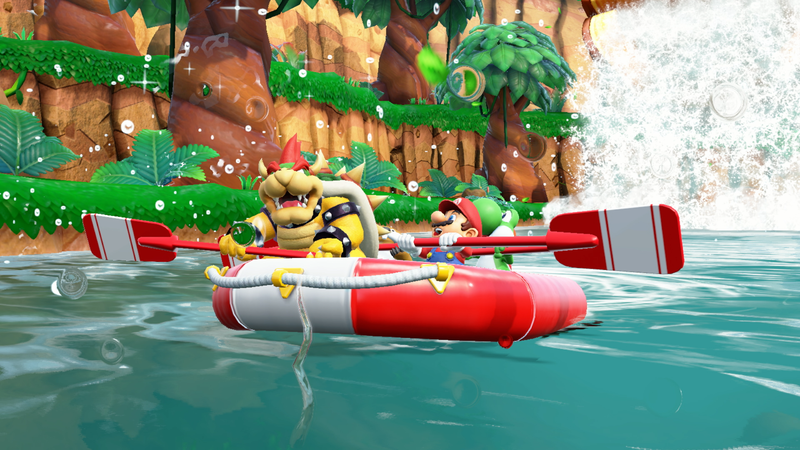 Mario Tennis Aces which came out last June, has received a fair number of balance patches and new characters in the months since then, the latest of which came out today and adds Boom Boom, one of Bowser’s minions, as a playable character. Kirby Star Allies, a somewhat mediocre game at launch, has also benefited from post-release content, including three mini-expansions throughout 2018 that added new characters and challenge levels. So why are Kirby fans being treated like royalty while Mario Party players are being left behind? Back when Super Mario Party launched, Kotaku reached out to Nintendo to ask about the company’s post-release plans for the game but never heard back. Nintendo did not comment again this week when asked about the matter following the release of its earnings report.